Aching For Disneyland? Try Orbi! - Bold Outline : India's leading Online Lifestyle, Fashion & Travel Magazine. Aching For Disneyland? Try Orbi! Orbi, a game-changing and interactive edutainment attraction and the first Orbi facility outside of Japan in City Centre Mirdif in the Middle East promises to be a great vacation experience for kids and adults alike. Collaboratively developed by Majid Al Futtaim, the leading shopping mall, communities, retail and leisure pioneer across the Middle East, Africa and Asia, in partnership with SEGA Holdings Co., Ltd. and BBC Worldwide. Orbi fuses BBC Earth’s world-leading nature content with SEGA’s cutting edge technology to create a game-changing entertainment experience that will plunge visitors into the heart of the natural world through a visceral, multi-sensory edutainment experience. 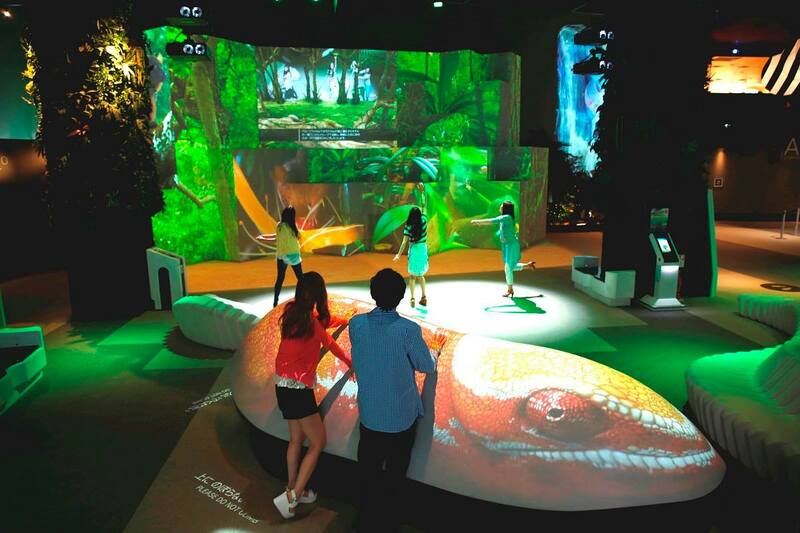 Featuring a custom built theatre, innovative audiovisual technology, and interactive walk-through touch points, Orbi’s uniquely immersive offering aim to transform the way people explore the mysteries of nature inviting them to see and hear the planet. Initially introduced in Yokohama, Japan in 2013 as an experimental visitor attraction, the UAE became the first market in the world outside of Japan to house Orbi when it was launched by Majid Al Futtaim – Leisure and Entertainment in City Centre Mirdif, in May 2017. Orbi aims to be the next generation of ‘edutainment’, a visceral, awe-inspiring and edutainment experience brought to life by stunning audiovisual content and ground-breaking technology. The BBC has been at the forefront of natural history filmmaking for over 50 years, capturing all forms of life and bringing incredible stories and characters to audiences worldwide. Groundbreaking series such as Blue Planet, Planet Earth II, The Hunt, Shark and Life has revealed new insights about our planet in an astonishing high definition. SEGA is internationally renowned for developing real game-changing entertainment concepts using technology innovation. Orbi transcends regular forms of entertainment to deliver an intimacy with nature across a sensational spectrum or different environments. Nowhere else can visitors experience life at the centre of an elephant herd or in the deepest ocean depths in such close proximity. Orbi was opened in the year 2017 in City Centre Mirdif, where it now complements the other family favourite Majid Al Futtaim – Leisure and Entertainment offerings such as Magic Planet, Little Explorers and iFly.